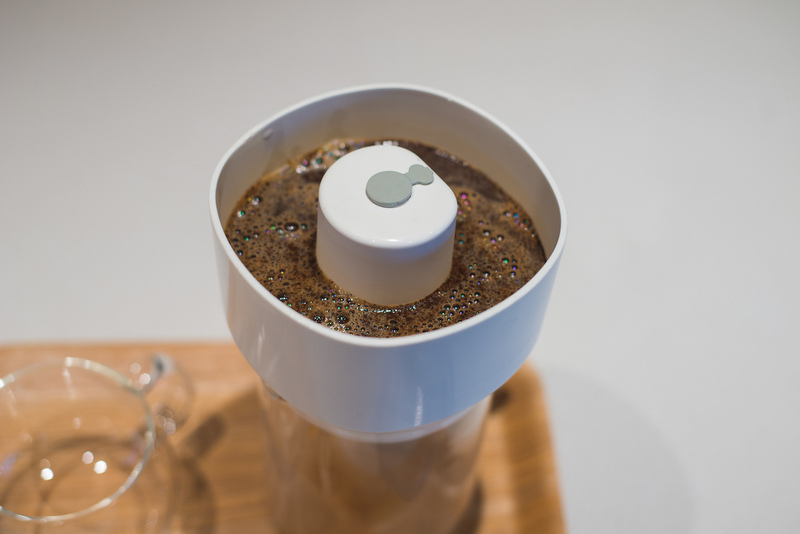 The FrankOne coffee brewer is moving into production after a successful Kickstarter. All photos courtesy of Frank de Paula. 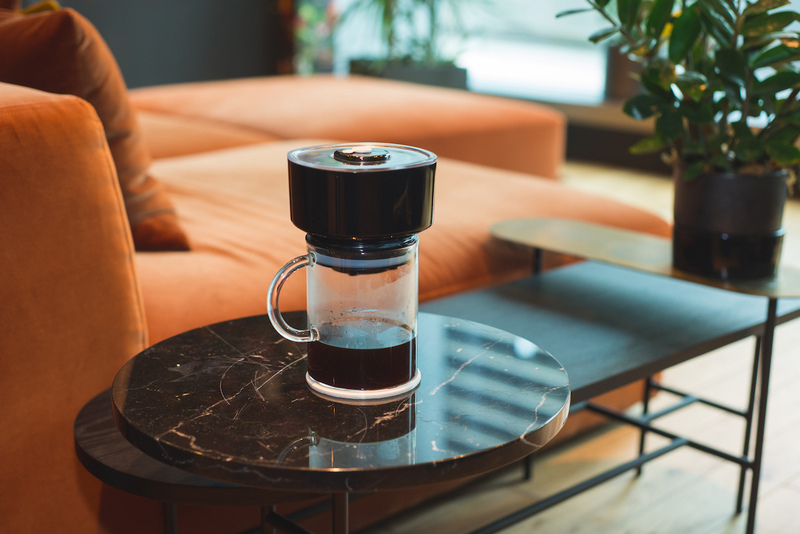 At first glance the upcoming FrankOne coffee brewer by Colombian company Frank de Paula resembles what might be a combination of the Clever Coffee Dripper and an electronic siphon brewer. 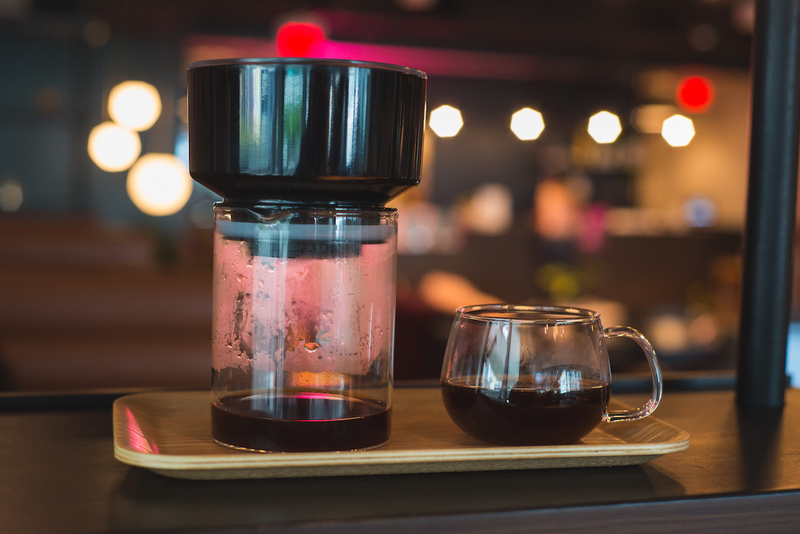 As with the Clever, the user determines the duration of an open-air steep with a declining temperature profile, then the brew is drawn downward through a filter by vacuum force as air is removed from a sealed vessel below, as with a siphon brewer. The similarities to either method end there, however, as the motorized pump-oriented design of the FrankOne transforms the brewing platform into something more flexible, and ultimately unique, within the immersion brewing category. 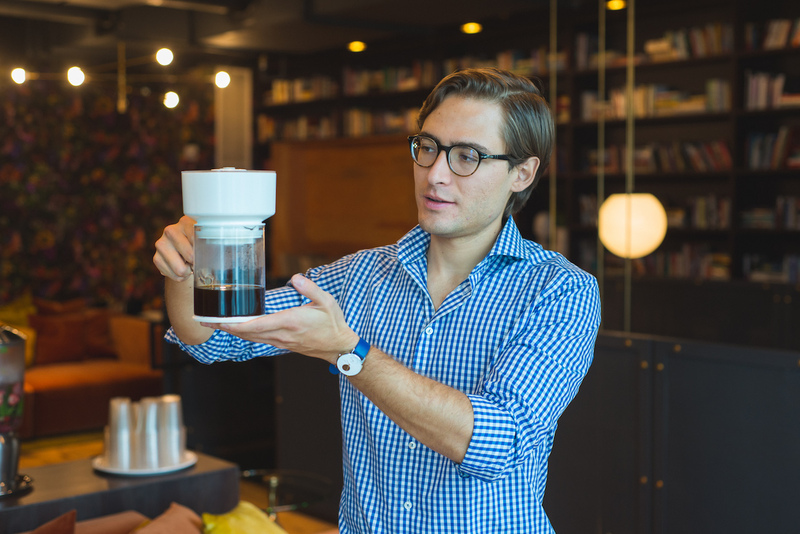 Whereas the downward pressure in a siphon pot declines as temperatures shift, the strong and consistent negative pressure generated through FrankOne’s patented Vacuum Extraction Technology draws liquid evenly down through the bed of coffee and through a ring-shaped filter into the vessel below. The consistent force allows for a wider range of variability in grind fineness and opens the format up to a variety of recipes. The company also says the format promotes sweetness in the cup at any grind level, as the bed of coffee itself serves as a filter that prevents bitter oils and CO2-generated “crema” from being drawn down along with more desirable compounds. The brewer is also purported to work its magic quickly, generating a Golden Cup Standard brew with a 30-second steep time, and cold brew in as little as four minutes. The procedure requires the user to mix water and coffee in the upper chamber and then hit the button manually to activate the pump after the desired brew duration. Umaña said that in its early design phases the team did consider options like a built-in timer as well as various possible sensors and connectivity options, but with every “smart” prototype there came numerous needless complications both to its production and its pleasurably straightforward operation. The coffee-loving engineer and product developer moved to the United States from Bogotá, Colombia, at age 15, and is also founder of the aesthetically adventurous product company Classic Engineering, maker of a lamp that looks like sculpture and turns on and off at the sound of a person whistling. The FrankOne was developed in collaboration with Umaña’s mentor, Luis Fernando Vélez, head of Colombian coffee roasting company Amor Perfecto. The device cleans easily, according to the company, and includes its own permanent steel filter, also removable for easy cleaning. The battery charges via USB in roughly two hours and offers approximately 100-150 coffees per charge, depending on grind, ratio and other variables. The pump and electronics are housed in a sealed compartment and are not user serviceable, though Umaña said the battery’s lifetime will support roughly 50,000 coffees. “That’s two coffees every day for something like 60 years,” said Umaña. The product advancing toward production after a successful Kickstarter campaign, which has collected over $130,000, draws to a close with less than a week currently remaining. 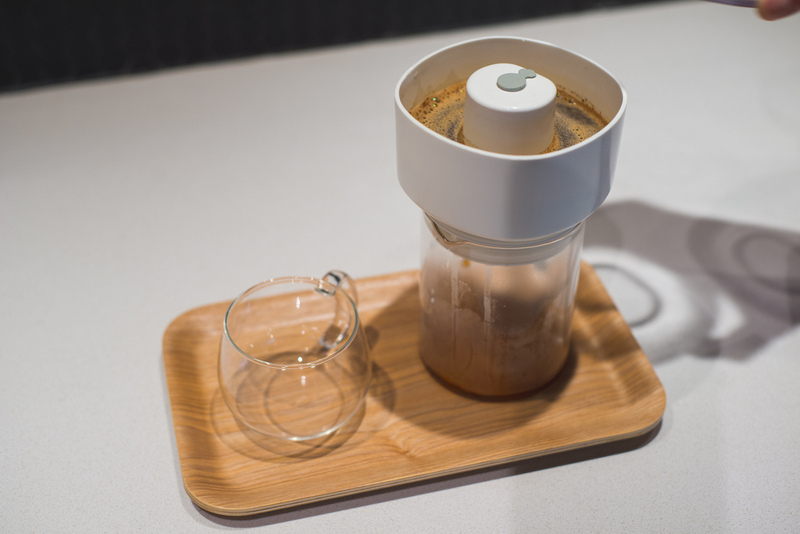 The basic product package expected to ship to backers in April 2019 will include the FrankOne brewer and glass carafe, a stir stick, lid, charging cable and silicone mat. After that the FrankOne will be sold through retail channels for $99.